36 ½” x 54” Fan-Shape Aluminum Backboard is constructed of casted aluminum with a white powder coat finish and a printed target and border. Has 20” x 35” mounting centers for attaching board to structure. The backboard features 12 reinforced mounting points to hold the backboard in place. 5” x 4 1/2” Hole Spacing. Limited Lifetime Warranty. 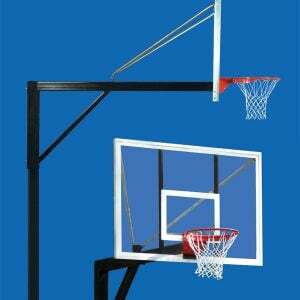 Please contact me with more information about: "Gooseneck 3.5 FAL Basketball System".